Silicon-Power’s 2.5-inch SATA/ IDE SSD delivers higher data transfer rate than traditional hard drives and ensures better performance when installing in notebook or desktop computers. SATA/ IDE SSD is produced for good anti-seismic, thus it’s not accessible by vibrations, high speed shifts, overturns and on a slant, then it makes data preservation more stable. Its low power consumption, light weight and thin size modeling make it very suitable for notebook. Silicon-Power’s 2.5-inch SATA/ IDE SSD has many distinct advantages which mean it can be a prior choice for consumers in the market. The Technical Image Press Association (TIPA) announces the winners of the 2008 TIPA Awards. This year, the editors of 27 TIPA member magazines from 11 European countries that voted for the best imaging products in Europe in 2008, awarded 36 photo and imaging products. TIPA was founded in Paris, France, in 1991. It is a nonprofit association registered in Spain, and consists of editors from 27 amateur, professional, and trade magazines from 11 countries. Silicon-Power releases its latest card reader - Stylish USB Reader – for microSD/ microSDHC memory cards. Silicon-Power microSD/ SDHC memory card may store all MP3 music files, high dpi pictures and video clips. And it also satisfies consumers’ thirst for huge spaces to store multi digital data. Its light and handy modeling (26.15 x 14.40 x 6.05mm) with azure blue design is unlike formal mcroSD/ SDHC adapter in the markets and can be easier to carry on as a USB drive by users. Panasonic today introduced a new addition to its award-winning TZ-family of digital cameras, the Panasonic LUMIX DMC-TZ50 - complete with Wi-Fi capabilities, standard 802.11b/g wireless LAN connectivity and access to T-Mobile HotSpot service, users can upload digital photos taken with the TZ50 directly to Picasa Web Albums, a free online photo-sharing service from Google. The 9.1 megapixel TZ50 is packed with a 28mm wide-angle lens, 10x optical zoom and the ability to record HD video, making it the ideal digital camera for active users. Today's mobile professional has more pressure than ever to be able to conduct business almost anywhere. The new PIXMA iP100 Mobile Printer from Canon not only can address printing needs on-the-go, but can also deliver high-quality text and graphics for printing a last-minute business presentation. It affords users the ability to print beautiful borderless color photos from the car or even at the beach. Continuing Canon's history of outstanding quality in the mobile printer category, this printer has increased color resolution with faster printing speeds than previous models, while offering a number of accessories that make it easier to conduct business outside of the office. The lightweight Canon PIXMA iP100 Mobile Printer fits easily onto a desk with limited space or into a carry-on making it the perfect laptop companion for business or personal travel. The B+W filter manufacturing company, under parent company Schneider Optics, Bad Kreuznach, Germany, announces that B+W Filters for DSLRs now allow users to create infrared images. The B+W Infrared Filters 092 and 093 are available for a broad range of DSLRs. 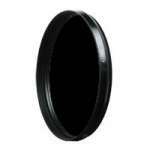 The B+W IR 092 filter is nearly opaque, and creates infrared images that also include a portion of the visible red spectrum, resulting in dynamic infrared/pure red images, says the company. The completely opaque B+W IR 093 Infrared Filter blocks the entire visible spectrum, resulting in pure infrared photographs without the visible red component. Silicon-Power releases its latest high-capacity USB flash drive – The Ultima 110 series. The Ultima 110 series is a marvelous USB 2.0 storage device with full body aluminum brush surface gives the user the new anti-scratch and fingerprint free experience. The stylish cubic shape and environmental green bring Ultima 110 a whole new modern and retro style. With its compact small size and light weight, Ultima 110 is easy to carry with you on the go. 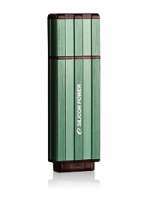 A special pen cap design can be easily attached on the back of the pen-drive without loosing it anymore. Therefore, Ultima 110 is a remarkable data storage device that reveals individual taste by its unique design and most advance flash technology. Silicon-Power announced the launch of its 32GB capacity high speed 300X Compact Flash Card. In order to meet the growing consumers’ need to larger capacity and high-speed of memory cards, Silicon-Power recently released its CF300X with 32GB ultra large capacity. Silicon-Power 32 GB high speed 300X Compact Flash Card is the best equipment of high-performance digital single lens reflex cameras (DSLR), it can fulfill professional photographers and photography enthusiasts’ demand for superior performance and reliability from their memory cards. 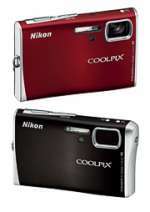 Nikon introduced the new COOLPIX S52 and S52c to its Style Series of digital cameras. These cameras combine Nikon's stunning wave-surface camera body with advanced features designed to produce incredible pictures with ease. With 9.0 effective megapixels, a 3x, 38-114mm Zoom-NIKKOR lens, Optical Vibration Reduction (VR) Image Stabilization and manual sensitivity settings as high as ISO 3200, the COOLPIX S52 and S52c are for consumers looking for a stunning camera that takes equally stunning photos. Nikon is pleased to announce the CoolPix P80, a high-performance compact camera built to satisfy the needs of camera enthusiasts and family photographers alike. 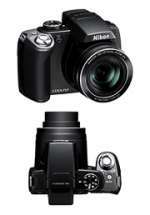 The P80 harmoniously integrates a 10.1 megapixel CCD image sensor with Nikon’s innovative EXPEED digital image processing concept and an 18x optical Zoom-NIKKOR lens designed with the compact and comfortable styling of the Nikon CoolPix brand. onOne Software announces Plug-in Suite 4 software for Adobe Photoshop. 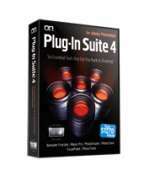 Available in early May, onOne Software's Plug-In Suite 4 combines full versions of six essential software tools - Genuine Fractals 5 Print Pro, PhotoTools 1.0 Professional Edition, PhotoFrame 3.1 Professional Edition, Mask Pro 4.1, PhotoTune 2.2 and FocalPoint 1.0 - an affordable combination that includes everything a photographer needs to make their images look their best. Adobe Systems Incorporated today announced Adobe TV, a free online video resource for expert instruction and inspiration about Adobe products, including the company’s Creative Suite 3 family of world-class creative tools. 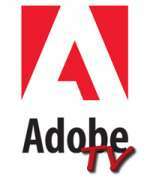 With multiple channels, original series programming, and content from Adobe, leading training organizations and the world's leading subject matter experts, Adobe TV delivers a virtual library of entertaining and instructional videos. Designers, photographers, video professionals, and developers will find product deep-dives, innovative tips, techniques from luminaries, and behind-the-scenes tours of the hottest creative shops and Adobe product teams. 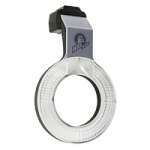 ExpoImaging Inc., developer of innovative camera accessories, including the ExpoDisc Digital White Balance Filter and the ExpoAperture2 Depth-of-Field Guide, today announced the U.S. availability of Ray Flash: The Ring Flash Adapter. Designed as a portable and lightweight adapter for a hot-shoe flash unit, the Ray Flash replicates the unique lighting effect produced by heavy, tethered, powered studio ring flash units. Pentax Imaging Company has announced a Pentax Student Photography Program to support budding photographers and photography educators with camera bodies, lenses and flashes at significant savings. Known for producing photography equipment that offers value, quality, ease-of-use, durability, and affordability, Pentax takes great pride in the commitment to countless users who have learned and taught the art of photography with a Pentax camera. Lexar Media announced a sales and distribution agreement that adds integrated remote-access and data-protection security to the award-winning flagship product in the Lexar premium JumpDrive USB flash drive line. The new offerings to include the RedCannon enhancement will be the Lexar JumpDrive Lightning Vault Edition and the JumpDrive Lightning Access Edition. Nikon introduced the new D60 digital SLR camera, which provides consumers with stunning picture quality and versatility in an easy-to-use, compact camera design. 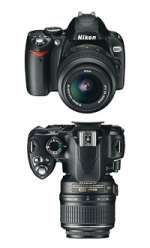 The D60 joins Nikon’s award-winning line of D-series digital SLR cameras and shares a form factor similar to the D40 – Nikon’s smallest D-SLR camera ever. With 10.2 effective megapixels and a wealth of innovative and user-friendly features, the D60 enables both photo enthusiasts and those new to digital SLR photography to capture incredible images like never before.